Swine and Dandy is a small scale boarding, consultation, and placement service located in southwest, MI. We are advocates for the pig as a pet. Our interactions with pigs have left us with no doubt that these incredibly intelligent and emotional beings are no less important than any other on Earth. We invite you to take a look around (especially at the blog) to see the work that we do. Our services are centered around consultation, boarding and placement services. 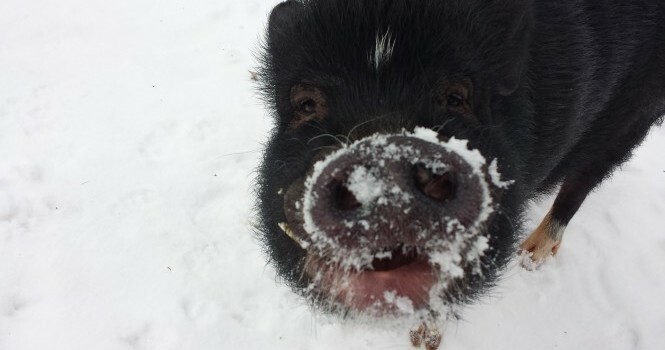 Please understand that we are not a foster home for pet pigs. Under rare circumstances do we take in pigs. We advocate a home-to-home placement style for anyone seeking to surrender his or her pet pig. 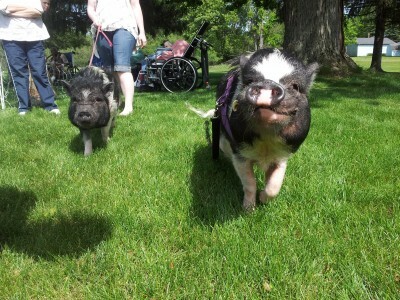 Our work is in cooperation with Pig Placement Network and Ross Mill Farm. 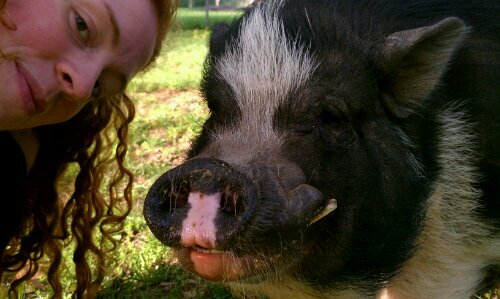 Leslie and Will are both Board Members and Officers of the Pig Placement Network.